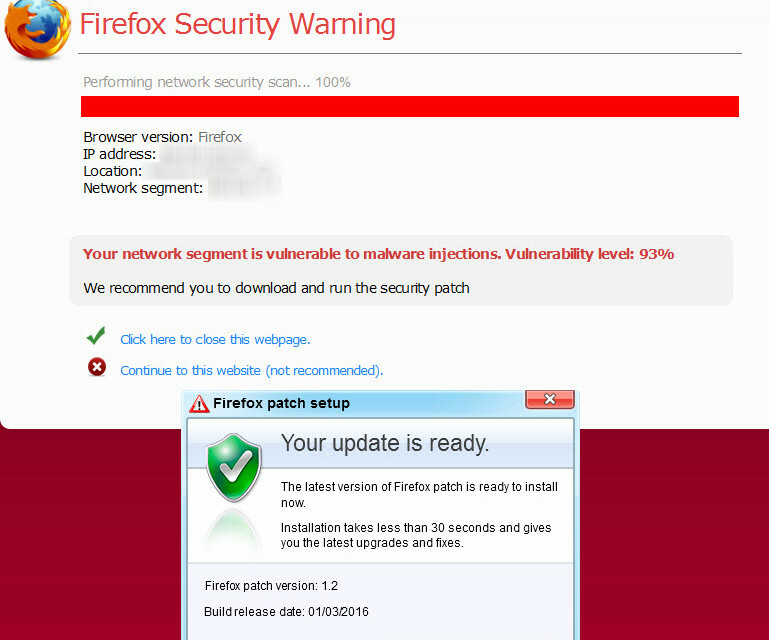 Just ran across this fake Firefox patch today. Was surfing a news site and this link to an external site brought this up. An additional window to download the “firefox patch” also opened. So don’t panic when you see this message, just realize you don’t want to download or confirm any downloads.